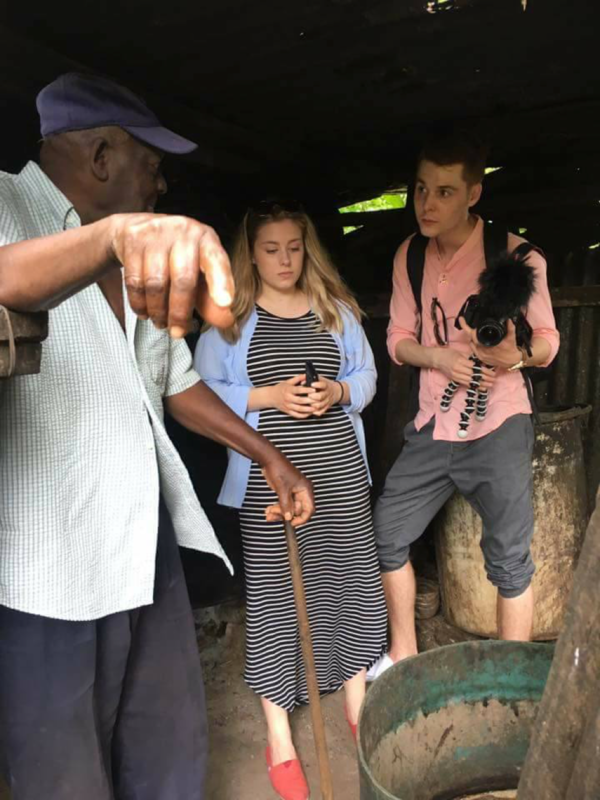 Cultural Entrepreneurship & Documentation Program in Grenada – I can’t wrap my head around that fact that we are almost through the first week of our program, it feels like we only landed here yesterday. This past week in Grenada had exceeded any expectations that I had for the program. Although the island is absolutely breathtaking, it’s the people I’ve met and the experiences I’ve had that have made this past week so amazing. One of the highlights from the beginning of the week was hearing about Grenadian history from Dr. Nicole Phillip Dowe, who actually experienced the revolution. As much as you read about a place’s history, it can never compare to hearing it firsthand from someone who lived it. The rest of the week has been a whirlwind, full of interviews, tours, and site visits. I return to the hotel each night completely exhausted but thrilled about what each day has brought. I didn’t realize how much professional and personal growth could happen in such a short period of time. My whole outlook on myself and what I am capable of has been altered. I feel confident that I can communicate professionally with anyone. I also feel like I’m much more flexible and able to deal with the unexpected, which is something that I struggled with prior to the trip. Diversity has also been a huge area of growth for me this week. I’m a light-skinned blond girl in a country where the majority of people are black, which is not something I’m used to at all. It has really opened my eyes to what it’s like to be a minority. Each night we reflect on the good and bad parts of the day. I’m always at a loss for words when I have to think of something negative today, but I could talk for hours about all of the positive things that I’ve experienced. To say that this trip is life-changing would be an understatement. I have gained so many skills and experiences that I know will benefit me for years to come.